Parking and kiosk are open during easter, april 13th - april 21th. Kiosk are open 10.00-16.00. From may 18th-19th the kiosk and parking are open every weekend. From thursday may 30th we are open every day, and the Gjendeboat is running from june 8th-october 6th. Tickets to the Gjendeboat can be preorder at gjende.no – or you could by residual tickets in the kiosk. Long-term parking can be found at Reinsvangen, 1.7 km. from the boat quay at Gjendeosen. Shuttle buses run between Reinsvangen and Gjendeosen every hour and half-hour from 06.30 to 22.00 in the high season. Reinsvangen parking is only open at weekends from september 10th. You can pay for long-term parking at Gjendeosen at the kiosk. One day (24 hours): NOK 150. Two days (48 hours): NOK 300. Three days (72 hours): NOK 400. Four days (96 hours): NOK 500. There are automatic parking meters at Gjendeosen and Reinsvangen. You will find short-term parking near the quay at Gjendeosen, where you can park for free for up to two hours so that you can send off or pick up happy Besseggen tourists, or just enjoy a cup of coffee in a sunny spot. Up to two hours: Free, if you use the indicated parking space and collect a ticket from the parking meter. Use the parking if you are photographing the area or for other short errands. Payment is made using the automatic parking meter and you should leave the ticket in your windscreen. The ticket will be checked when exiting. The bus runs whenever the Gjendebåten boat runs. You can take our shuttle buses between Reinsvangen and Gjendeosen on the hour and half-hour - the service is completely free! Shuttle buses run between Reinsvangen and Gjendeosen every day during the season. It is 1.7 kilometres from the long-term parking at Reinsvangen to Gjendeosen. The shuttle bus is free for everyone and requires no advance booking. The bus runs every hour and half-hour from the car park at Reinsvangen to the quay at Gjendeosen. The bus also runs from Gjendeosen to Reinsvangen after the boat arrives. There is also a return bus from the quay. Outside of the high season we change the bus times so that you can arrive at Gjendeosen well before the boat leaves, and return to Reinsvangen. If you have any questions about timetables, please call +47 95 45 17 43 or contact the staff at the kiosk. 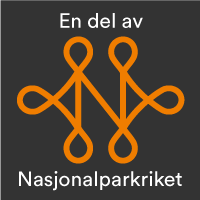 Vi har ansvaret for all parkering i området, med unntak av området ved Gjendesheim. Langtidsparkering på Reinsvangen, korttidsparkering inntil to timer gratis på Gjendeosen. Shuttlebuss mellom Reinsvangen og Gjendeosen hvert kvarter. Beregn ekstra tid før båtavgang når du parkerer på Reinsvangen. Personvernerklæring · Tilrettelagt av Trollbinde.